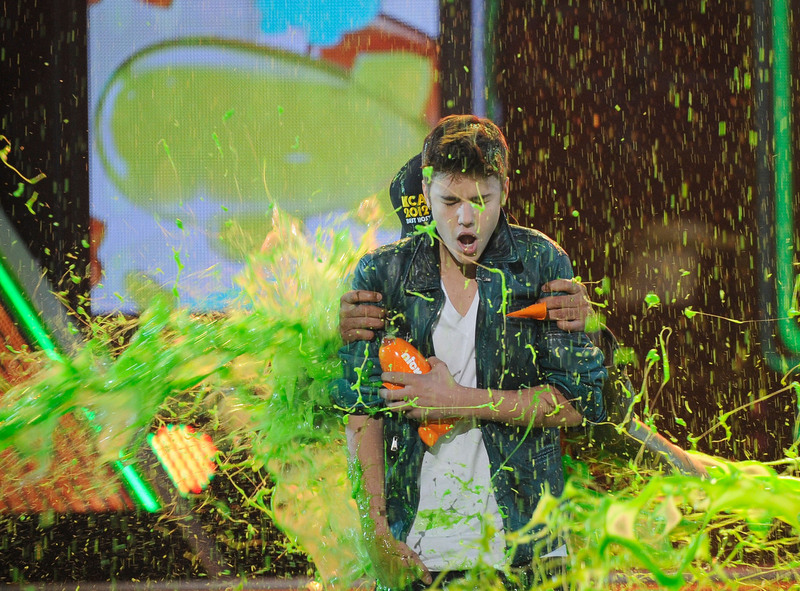 Last night was Nickelodeon’s ‘Kid’s Choice Award’s’ and when the famous award show comes, so does that cold, green slime! Everyone from Justin Bieber, Will Smith, Jack Black, Hiedi Bloom, Mary Kate and Ashley to Pitbull, Tina Fey, Justin Timberlake, Taylor Lautner and so many others got slimed. While some got slimed during performers and others during award presentation/exception, all were surprisingly not only to viewers but the celebrities too! Check out some photos of our favorite stars getting slimed below!